Post cards feature 16 different styles that are inspired by late 19th century designs to create a feeling of antiquity. Use these postcards to explore different countries and historical periods. 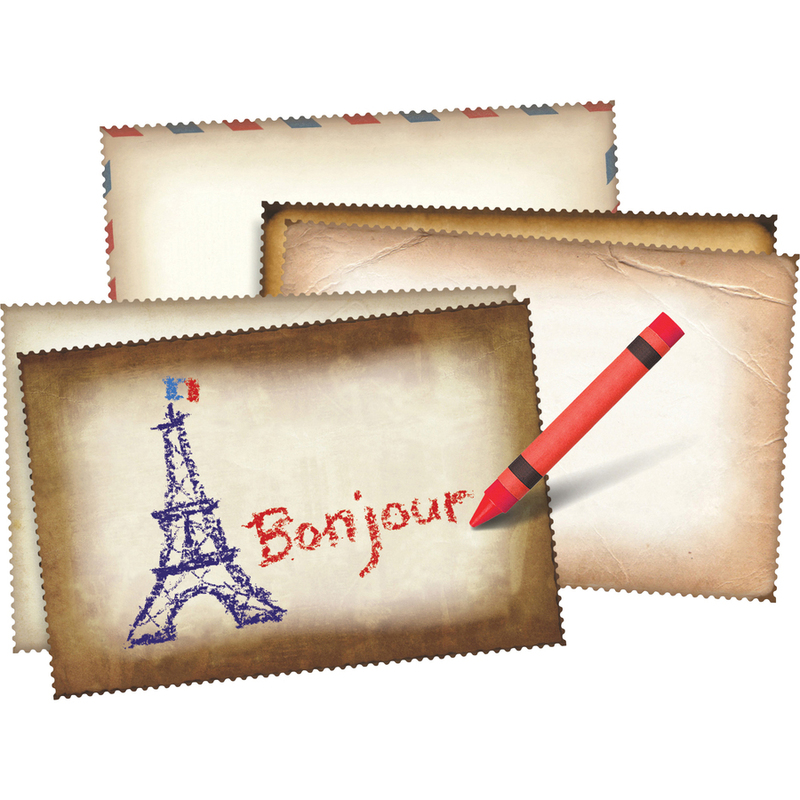 Or ask students to write postcards from world traveler perspectives. Incorporate art by designing stamps or drawing picture narratives instead of writing messages. 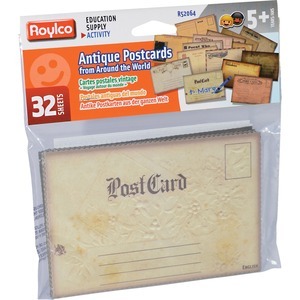 Use the postcards in your classroom post office or as props for dramatic play. Post cards are designed for children ages 5 and up.